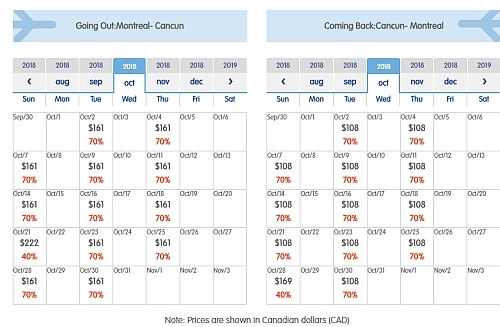 Interjet has dropped the price of their non-stop flights from Montreal to Cancun, Mexico down to between $236 and $268 CAD roundtrip including taxes. If you're comfortable booking in Spanish, you can book these flights for $236 CAD roundtrip. Non-stop flights from Montreal to Mexico City are also available for $333 CAD roundtrip ($303 CAD if you book in Spanish). 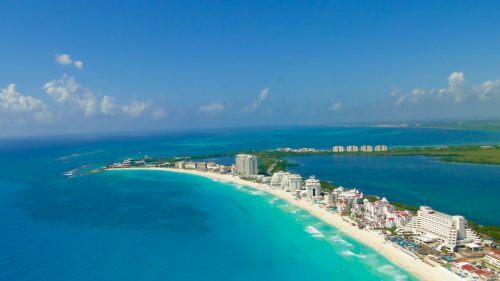 If you're comfortable booking in Spanish, you can book flights from Montreal to Cancun for $236 CAD roundtrip, and to Mexico City for $303 CAD roundtrip. 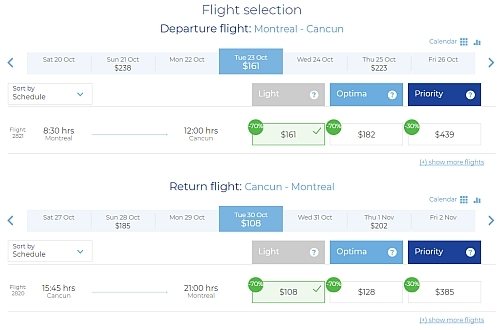 The cheapest prices should show up as $3,315 pesos for a roundtrip flight to Cancun. 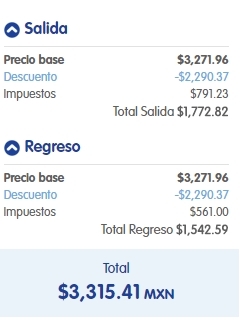 When booked with a Canadian credit card, $3,315 pesos will work out to $236 CAD roundtrip based on today's exchange rate, and including the typical credit card foreign exchange fee. NOTE: Spirit does not include *anything* with their lowest prices. 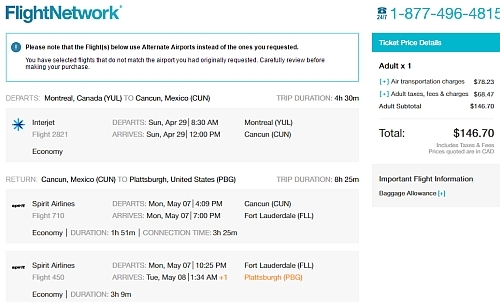 Update 3/28 - Interjet is showing non-stop flights from Montreal to Cancun, Mexico in October for $270 CAD roundtrip, or $230 CAD if you book in Spanish. They are also including a checked bag and carry-on on these dates. Any great deals on a place to stay in Cancun? The map below will show you some great deals on accommodations around Cancun for under $99 CAD/night for 2 people. You may also want to drag the map and look at towns south of Cancun, such as Puerto Morelos, Playa del Carmen, or Tulum. montreal, yul, flight deals, mexico, mexico city, mex, cancun, cun, north america and interjet.